Successfully Added Ionic Hair Straightener And Brush - Nano Coating, 5 Temperature Settings, Digital Temperature Display (Pink) to your Shopping Cart. Don’t spend money on overpriced hair salons. With the 2-in-1 ionic hair straightener, you will be able to achieve the same results in the comfort of your own home - and without exorbitant costs. This stylish little gadget brings a whole team of professional hair stylists right to your home. You will be able to play around with hair styles, get ready for a night out and keep your hair always looking flawless. There are lots of benefits to using an ionic hair styling tool. Helping to restore ionic balance in your hair, it seals and smoothens split ends, makes hair soft and shiny, eliminates frizz and more.You will also be able to significantly minimize hair drying time and quickly get ready for going out. 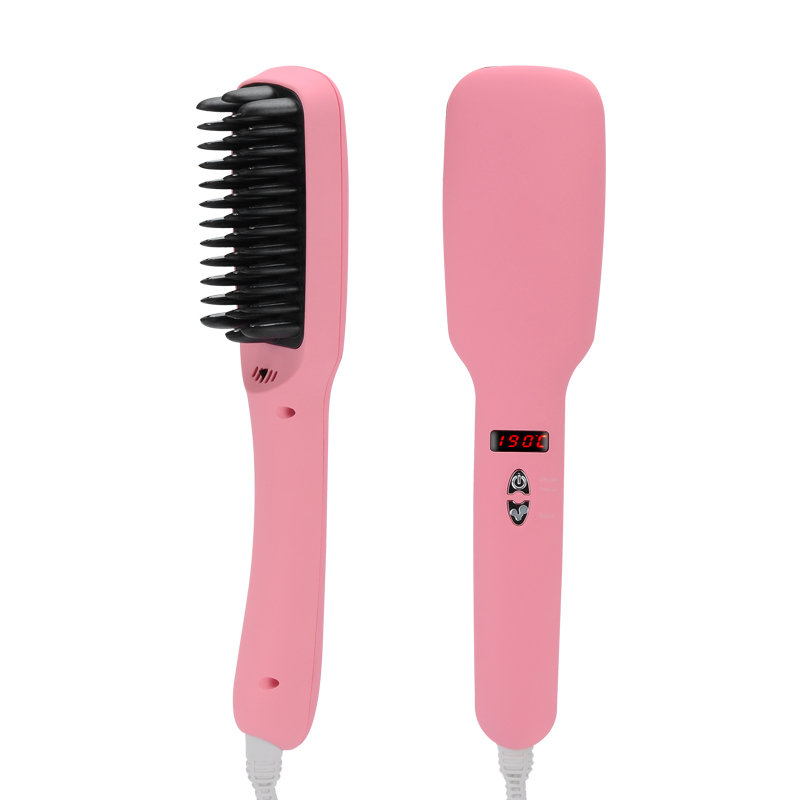 Designed with the home stylist in mind, this hair straightening brush is very straightforward and super easy to use. It comes with 5 temperature settings and a mini LED display where you can see how hot the plates are. With a non-slip grip for better control, pretty soon you will become your own professional stylist. Coming in a bright pink color, it’s not only a useful tool, but also a fun stylish accessory to have around. Compact and lightweight, you can always bring it along when traveling and solve your hair troubles on the go! The Ionic Hair Straightener and Brush comes with a 12 months warranty, brought to you by the leader in electronic devices as well as ionic hair straighteners..